Today, national security information, payment, trades, social numbers, medical records are all stored, used and transmitted online through connected devices such as laptops and smartphones. Organizations are at risk either from external or internal threats, and the proliferation of valuable data gives cyber criminals good opportunities to monetize stolen information. Information: Information is data that has some contextual meaning for its receiver. Encryption: Encryption is the conversion of data into cipher-text, which cannot be easily understood by anyone except authorized parties. The main purpose of encryption is to protect the confidentiality of digital data stored on computer systems or transmitted via the Internet or other computer networks. As data is very valuable it must be protected in all its states. 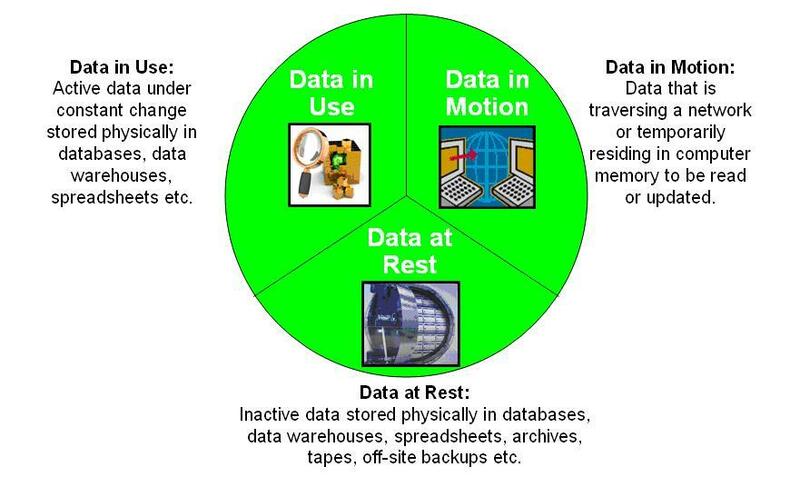 Data at rest in information technology refers to passive data that is stored physically in any numeric storage medium form such as databases, data warehouses, and mobile devices. In this not really secure state, information is primarily protected by classical perimeter defenses such as physical security, firewalls, and anti-virus. However, as we all know when skilled hackers are in action, these barriers become penetrable. A need for additional layers of protection to protect sensitive data from intruders, in case that the physical or network security is compromised, appears to be mandatory. 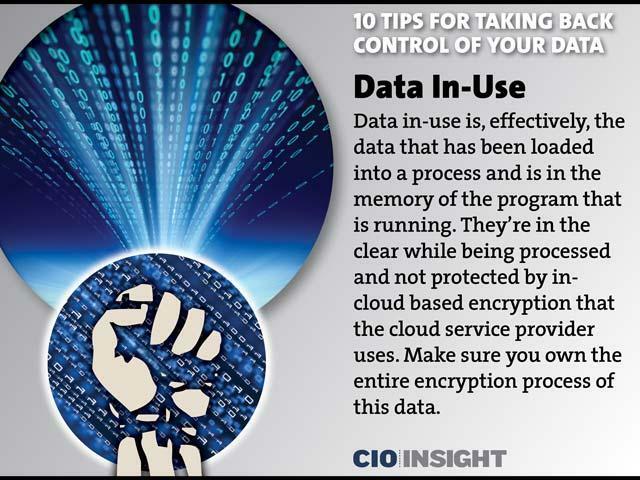 According to CISSP study guide, the encryption storage mediums protects data at rest and is one of the few controls which will protect data after physical security has been breached. Controls are recommended for all mobile devices and media containing sensitive information which may physically leave a site or security zone. Encryption may also be used for static systems which are not typically moved (such as file servers). Besides encryption, storing individual data elements in separate locations is a good way to decrease the likelihood of attackers to gain enough information. Data in use is active data that is not only stored, but that makes its way through other parts of a computer architecture. It can be generated, updated, or viewed through different interface endpoints. 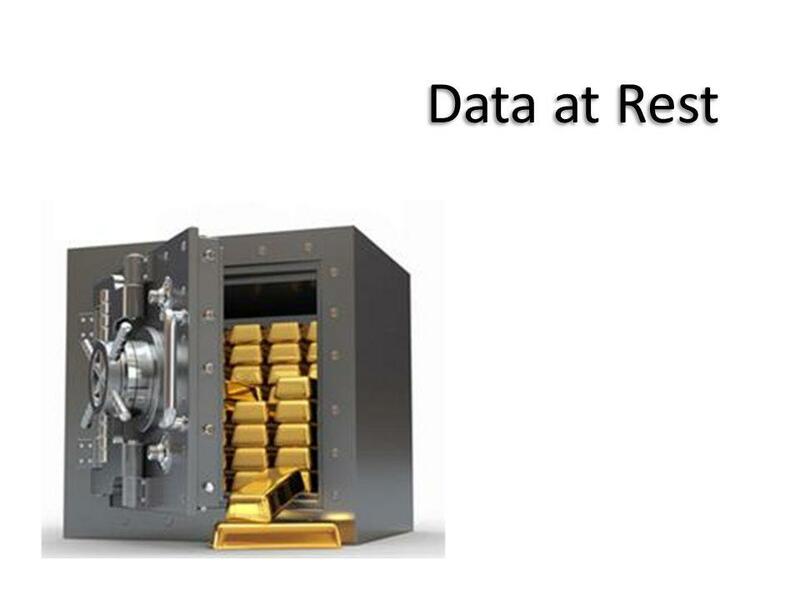 Data in use is more vulnerable than data at rest because of the availability matter. The risk that data can be stolen while in use increases proportionally to the number of users. The keys to securing data in use are to control access as tightly as possible and to incorporate some type of authentication to ensure that users aren’t hiding behind stolen identities. Data in motion, also called data in transit, refers to a flow of data routed through any type of networks. Data is at its most vulnerable state when it is in motion, and protecting information in this state requires advanced and specialized capabilities. Protecting data in motion is one of the most complex challenges we face. The Internet provides cheap global communication with little or no built-in confidentiality, integrity, or availability. To secure our data, we often must do it ourselves; secure communications describes ways to accomplish that goal (CISSP study guide). With secure communication, we most probably mean encrypted channels at the application or transport layer. Transport layer encryption is widely chosen due to its code reuse and the hardened encryption technologies. Most used technologies today are TLS and IPSec.